Uber, the ridesharing app that is redefining urban mobility across the world, recently appointed Jaiteerth Patwari as Senior Engineering Leader at Uber’s engineering center in Hyderabad. With 22 years of experience in product development, product innovation and management, Jaiteerth will focus on developing scalable distributed real-time business platforms. “Jaiteerth’s appointment is testament to our focus on developing a robust engineering team in Hyderabad. We are continuing to strengthen the engineering team in India and are confident that Jaiteerth’s expertise across sectors will help us create solutions that will further enhance the overall rider and driver partner experience,” expressed Naga Kasu, Site Lead, Business Platform Engineering, Hyderabad, Uber India. In his previous role, Jaiteerth was heading the LeMall R&D division at LeEco. Prior to which worked with Qualcomm for over 14 years, where he developed award-winning patents recognized by the US Patent and Trademark Office for innovations related to content monetisation and distribution. He was also involved in successfully rolling out the world's first Qualcomm mobile application store and enterprise messaging products. Before moving to India and setting up the Qualcomm Internet Division in Hyderabad, Jaiteerth was based out of California and has worked for companies like Netscape. 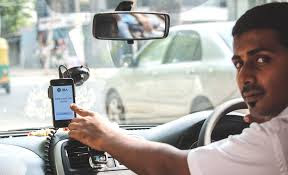 In India, Uber has an engineering team in Bangalore that is working on rider experience, driver growth and marketplace efficiency, and the Hyderabad team builds Economics Engineering and Business platforms focusing on driver partners, riders and marketplace worldwide. With a strong team of engineers in both cities, Uber continues to hire talent with large scale distributed systems, streaming computations, micro services architecture, statistical and deep learning expertise.